I'd like to share another comic from my personal collection with you. I don't only write these posts up to show you what I have, but I also do it to give you an idea of the process that I go through when I decide to buy these comics. There are a few reasons that I decided on this comic. The first is that I am a big fan of Spider-Man. I've stated that on here before. Ever since I bought that first Spidey comic when I was a kid, I've been hooked on the character. The second reason I bought this comic is because of the cover. I really like this cover that was done by the legendary artist John Romita Sr. It's probably not the best cover that he's done, but something about it really catches my eye. John Romita Sr. is very well known for the art that he did on his run on Amazing Spider-Man. The final reason is that this is a good investment comic. A lot of the earlier ASM comics from the Silver Age introduced new characters that are still quite popular and relevant today. You can't really go wrong if you're looking for one of these to add to your collection. This comic had been on my radar for a long time, but there are always other comics to be had so I put this one on the back burner for a while. It seems like I do that a lot. 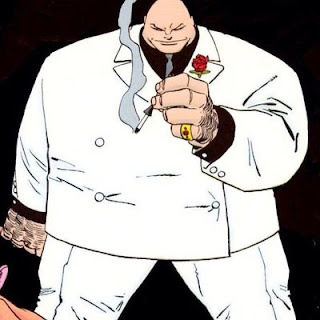 It wasn't until news came out that Kingpin was going to be the big baddie in the Netflix Daredevil series that I had to get serious about adding this to my collection. I did my searches on eBay, like usual, and one day I came across an nice looking raw copy. I don't remember what grade that the seller had it listed at, if he had one listed at all. I don't usually pay attention to what sellers have listed anyway, because there are a lot of sellers that over grade their comics to try to make the most money from the suckers that don't know how to grade a book. I used to be like that, but have since gotten better at determining a grade. There were a lot of nice high resolution pictures for me to look at, and I thought this copy looked pretty nice. It was a "buy it now" with a "best offer" option. So, I went on over to GoCollect to see what copies in the range of grades that I thought the comic might be in. For example, I thought the comic was probably between the grades of 6.0 F to a 7.0 F/VF. I usually look at the lowest grade and make an offer off of those sale prices. 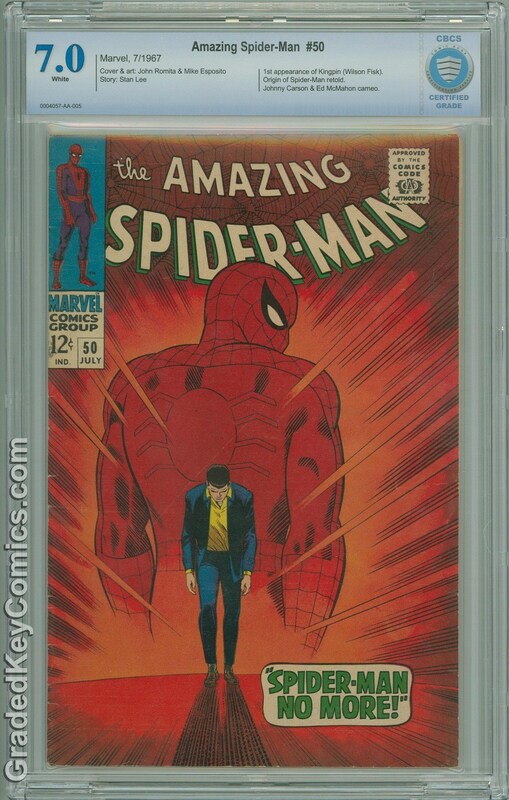 So I made the seller an offer based off of the recent sales of a 6.0 F. Already graded copies at that grade were selling for the $250 to $300 at that time, so I decided to offer the seller $225. Luckily for me, he accepted my offer. 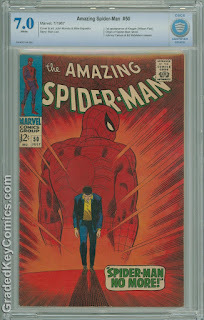 When I got it in the mail, it thought it looked about as good, if not slightly better than in the photos, and soon after I got it, I sent it in to CBCS with a bunch of other books. I think we can all see the end result. I was honestly expecting it to come back a 6.0 F or, more likely, a 6.5 F+, so I was very happy to see that 7.0 F/VF on the label. I was also lucky enough to snag a copy before it got out of my price range.